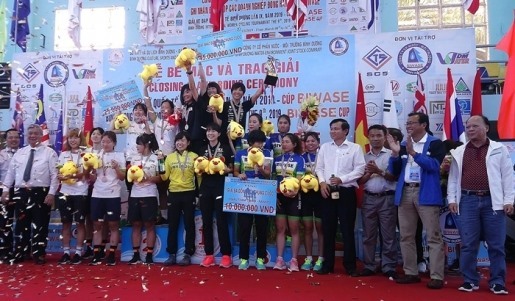 HÀ NỘI — Kashiki Shoko of Japan claimed the yellow jersey at the Bình Dương International Women’s Cycling Tournament – Biwase Cup 2019 over the weekend. The Japanese cyclist took the event’s most wanted award with a time of 22:26.51. 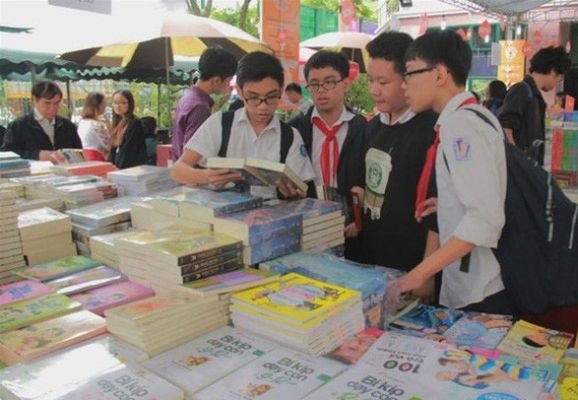 Shoko’s compatriot, Kaneko Hiromi, and Trần Thị Kim Anh of Đồng Tháp were the runners-up. Japan topped the team rankings with an overall time of 67:30.25 after nine stages. 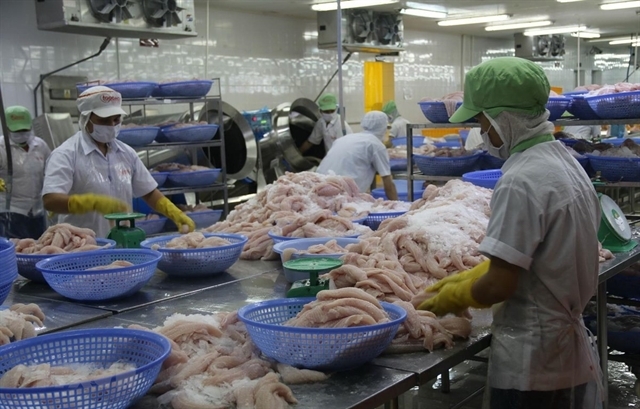 Second and third place went to South Korea’s Samyang and Biwase Bình Dương. Jutatip Maneephan won the green jersey for best sprinter with 131 points. 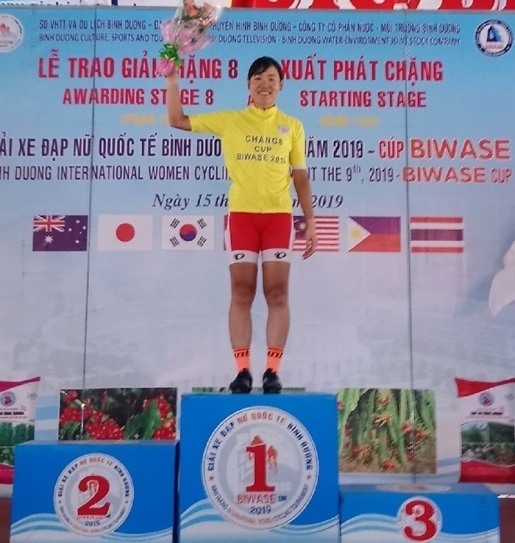 The red jersey for Queen of the Mountains belonged to Tsubasa Makise of Biwase Bình Dương with 76 points. Nguyễn Thị Kim Cương of Cần Thơ took the white jersey for the best young cyclist. In the final stage from Bà Rịa-Vũng Tàu to Bình Dương, Thai cyclist Maneephan covered 110km in 2:45.31 to come first, followed by Jupha Somnet of Malaysia and Lee Joon-hee of South Korea.